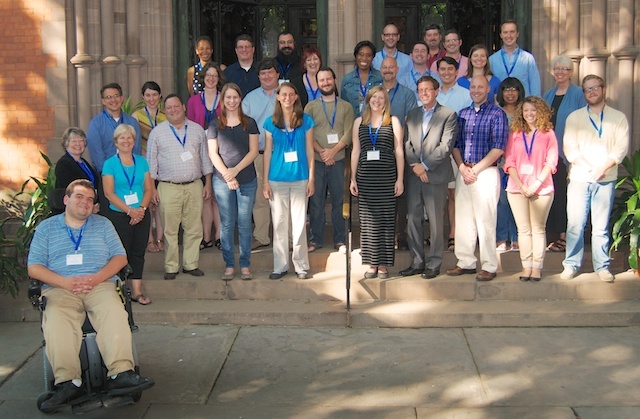 The last week in August brings fresh faces to the campus of The General Theological Seminary. This year, General welcomes a bumper crop of new students to its various degree and certificate programs. On the afternoon of Sunday, August 24, General Seminary kicked off its new student orientation week with the Dean's Welcome Reception to introduce new students to the faculty and current students. The week continued with introductory workshops on such topics as: The Way of Wisdom, financial aid, worship, and academics, as well as many opportunities to socialize, worship, and share meals together.